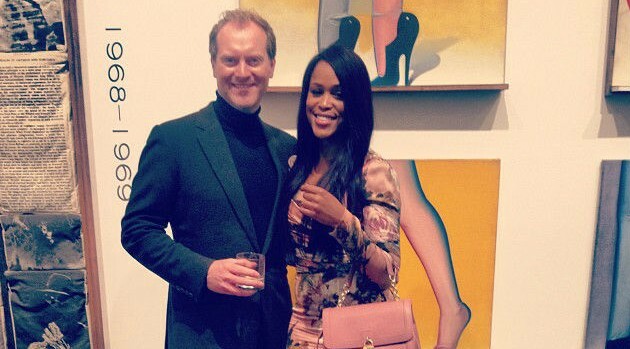 Courtesy of Eve’s InstagramCongratulations are in order for Eve, who is now engaged to Maximillion Cooper, British designer and founder of the Gumball 3000 international motor rally. The rapper’s rep confirmed to E! News that Cooper, 41, proposed to Eve, 35, on Christmas Day with a huge ring, which she nonchalantly displayed on Instagram in a photo in which she’s surrounded by family. When quizzed by fans if that was an engagement ring, Eve responded with heart emojis. The couple, who split their time between the U.S. and London, has been dating since at least 2011. This will be the first marriage for Eve while Cooper has four children from a previous marriage.